SPECTACULAR VIEWS! 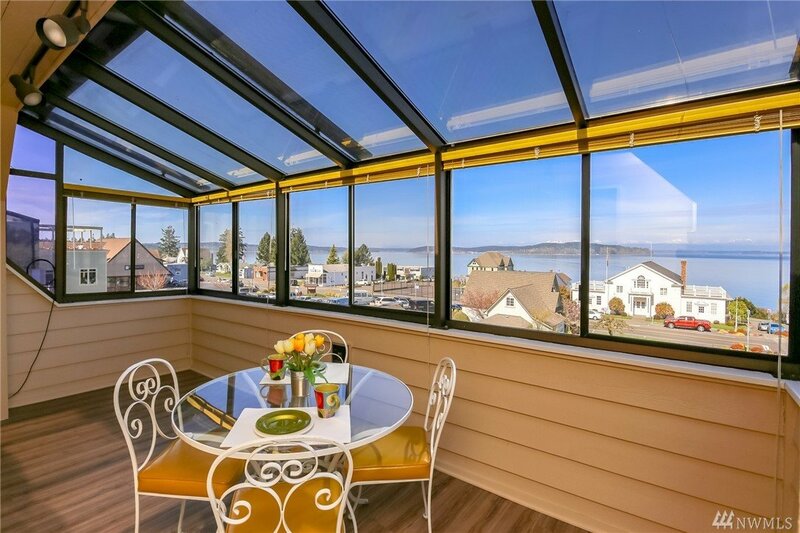 !Located in heart of Steilacoom, this is a beautifully maintained unit. Master bedroom suite has full window views & direct access to the sunroom. Wood burning fireplace has Custom Cherry Mantel. Kitchen & Baths has been updated with new countertops,tile backsplash and paint. 2nd bedroom and bathroom can be separated from main rooms for the feel of an onsuite. Covered sunporch with remote programable blind to regulate the sun. Skylights, Assigned garage, and storage space. MLS #1435220 | Listing provided by NWMLS & Hawkins Poe. Disclaimer: The information contained in this listing has not been verified by Hawkins-Poe Real Estate Services and should be verified by the buyer.